Big money! Big prizes! I love it! Super Smash TV was the name given to the 16-bit ports of Midway’s arcade hit Smash TV. 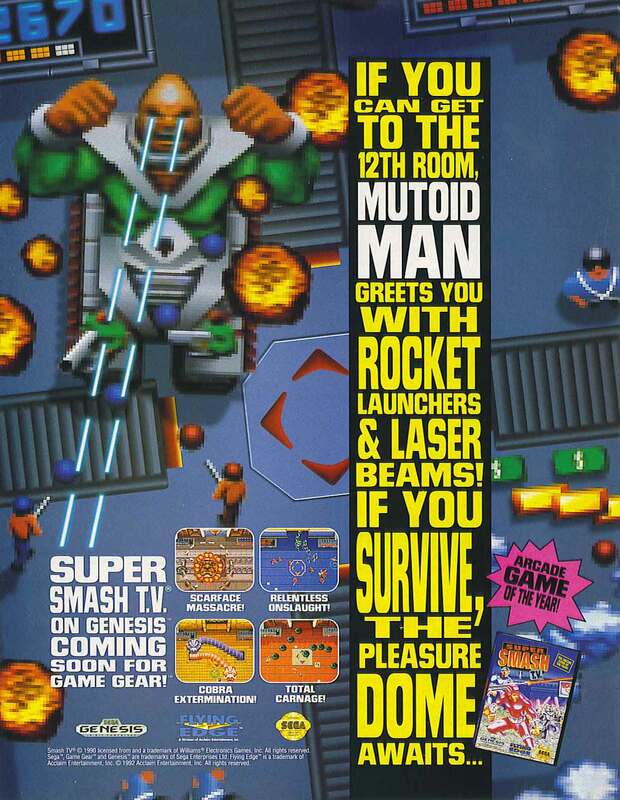 This ad is for the Probe-developed Mega Drive/Genesis version, but it’s worth nothing that the Super Nintendo version of the game was developed here in Australia by the late Beam Software. Both versions were published by Acclaim. Like the ad suggests, the game is pretty damn difficult, but it’s all in good fun.